My friend brought this tape back to Ohio in 91-92 where I was in college. We played it constantly and I have some very intense memories from some parties. Some of the tunes and mixes are just perfect. One of my good friends emailed me your website link this am and It just made my day and will add a huge smile to the weekend. I also had the luck to see you spin in SF during the summer of ’95, that was a crazy night for sure. Glad you are well and still rocking the beats. Have a great 4th. Picked up this tape at Gramaphone back in 92′ or 93′. Such and incredible set. Thank you Miles! One of my favorite mixes ever. Thank you for not only posting this mix, but being the auteur of this brilliant mélange of tribal melody – quite possibly the greatest mixtape ever. Perfect in every sense that perfect may be. It brings back so many good memories and inspired so many dreams of peace, love and unity (and we really meant it). It perfectly sums up a short place in time that few experienced. But those who did, those of us who were there, who were a part of it all, we will remember it forever! Hi Miles. It’s great to be able to listen to this again. Thanks. Thank you for posting the tapes I thought I would never recover! Miles- You handed me this tape in the spring of 1992 and it quite possibly was one of the most precious things I ever owned. I carried that soundtrack around the world and ended up leaving it in Bali. 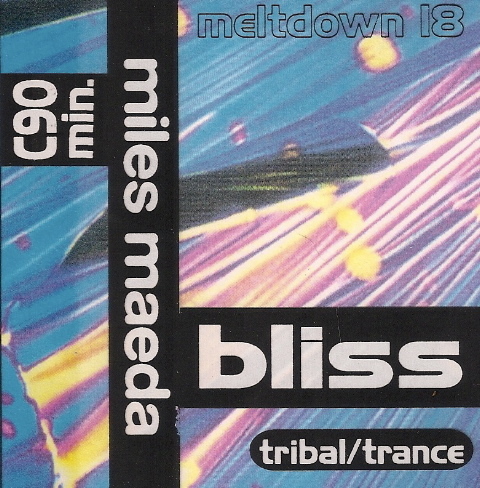 It literally is one of the best tribal house mixes ever made. Hahahahaha!!! Friend played this mtpaixe for me back in ’99. His comment was Remember when they were using those tribal beats for a few months back in ’95? It seemed new elements were brought to the fore and dropped within months back in the day. Gotta give this a listen and see if his comment holds up.